Astrowright Principal Research Scientist Ben McGee recently completed the Suborbital Scientist – Astronaut Training Program at the National AeroSpace Training and Research (NASTAR) Center in Southampton, PA. The program, which is the only FAA-certified offering of its kind, includes a rigorous combination of high-altitude and motion physiology coursework, hypobaric chamber extreme-altitude hypoxia training, distraction factors exercises, and centrifuge-based G-tolerance conditioning. While undergoing the high-altitude portion of the program, McGee was trained to recognize the individualized effects of oxygen deprivation by removing his oxygen supply at an equivalent pressure-altitude of 25,000 feet and performing color, dexterity, and cognition tests. 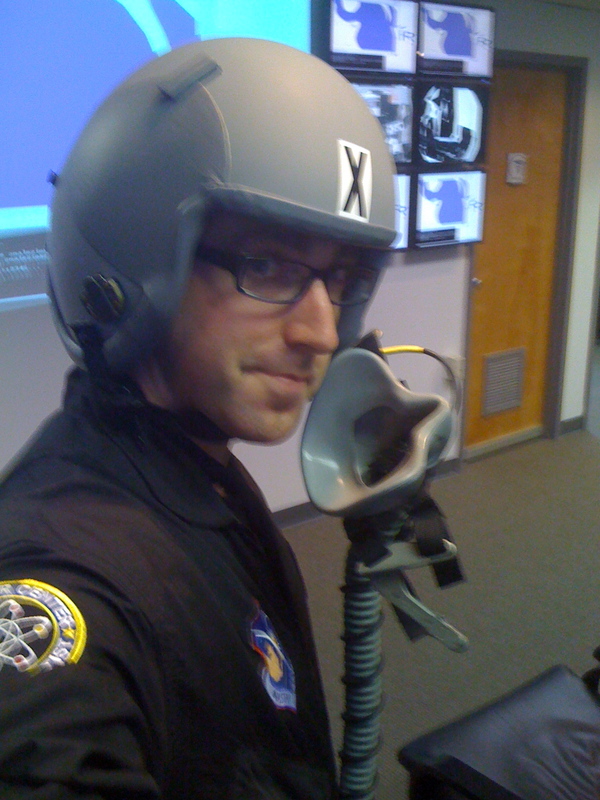 McGee’s G-tolerance training, which emphasized both the G-x and G-z components, culminated with a full-strength, full-duration simulated sub-orbital space flight that precisely mimicked the forces experienced by pilots of Virgin Galactic’s SpaceShipOne. The completion of this training establishes cornerstone technical proficiencies for Astrowright’s charter suborbital payload specialist program. For more information on Astrowright products and services, please visit www.astrowright.com. This entry was posted in Company Updates, Payload Specialist services, Product Testing and tagged aerospace, altitude, antigravity, astrowright, ben, breathing, force, g, galactic, gravity, high, hypoxia, launch, mcgee, NASTAR, national, pressure, program, research, rocket, scientist, space, spaceship, spaceshipone, suborbital, tolerance, training, virgin. Bookmark the permalink.